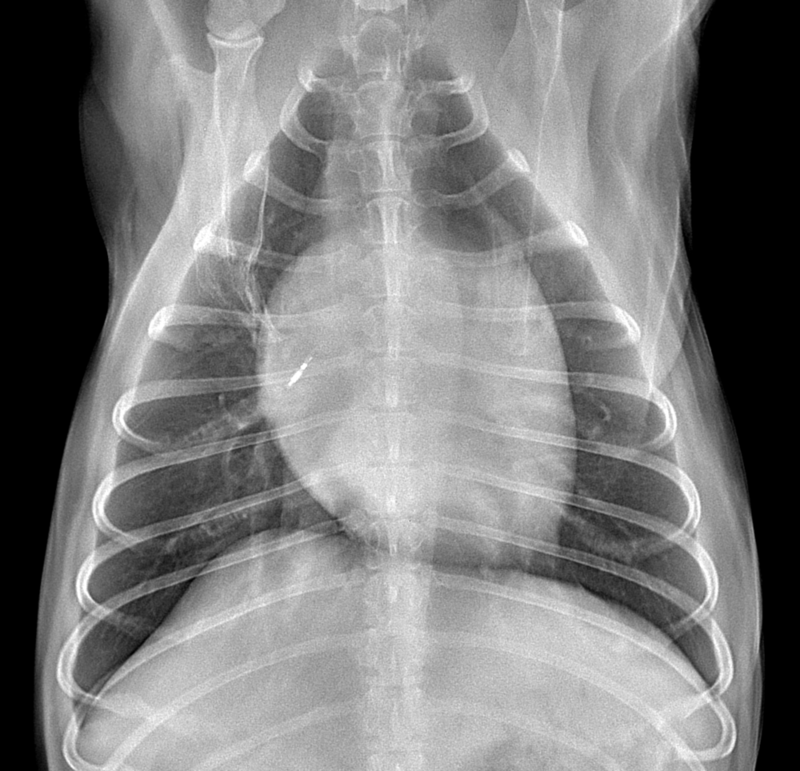 This older dog presents with a chronic cough. There are two significant findings in this patient. The first is generalized collapse of the intrathoracic portion of the trachea. The second is enlargement of the cardiac silhouette, particularly in the region of the left atrium (see annotated images). When there is significant dynamic airway disease present, left atrial enlargement may contribute to coughing due to irritation and compression of the left mainstem bronchus. It is important to note that this patient shows no radiographic evidence of congestive heart failure; the pulmonary parenchyma appears completely normal and there is no evidence of vascular congestion. Radiographic Diagnosis: Chronic mitral +/- tricuspid valve disease, intrathoracic tracheal collapse, no evidence of congestive heart failure at this time.